Samsung UN55F8000BF review - today at our Test and Review blog we are going to take a look at one of the best big screens in the 55-inch class. 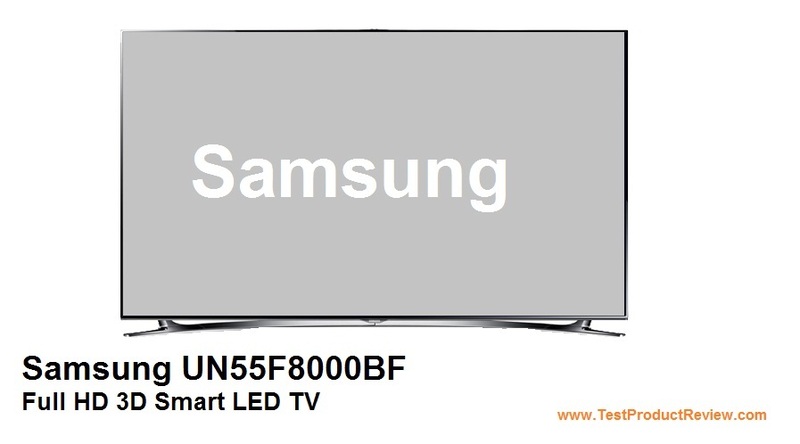 Fully equipped with the latest features Samsung UN55F8000BF is the smart choice in this price segment. 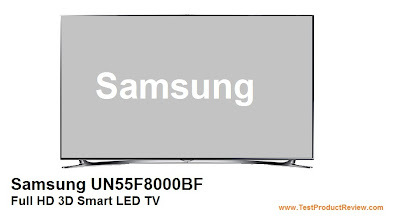 Samsung UN55F8000BF is part of Samsung's 8000 series TVs which are not their top of the range panels but offer exceptional picture quality, high specs and pretty reasonable price tag. These are just some of the reasons why 8000 series TVs became so popular. So let's talk about the looks of the UN55F8000BF. First of all we have to mention that this TV is quite compact for a 55-inch TV. It is very thin with ultra-slim design and has extremely small frame which makes it look even smaller than it actually is. Samsung UN55F8000BF is made of high-quality materials like hard plastics and some metal parts. The chrome stand has very interesting and elegant arc like design and allows the panel to be adjusted to left and right quite easily. But the UN55F8000BF is not all about the looks. This TV is one of the most functional sets in this class. To ensure all these functions work well Samsung is using their quad-core processing technology which is really noticeable when using some of the Smart TV functions. Samsung UN55F8000BF offers great Full HD 1080p picture with maximum resolution of 1920 x 1080 pixels. The 1200 Clear Motion Rate insures the perfect transitions when watching dynamic video content like action movies and sports. Some other high-tech technologies that Samsung is using for improving the picture quality are the Micro Dimming Ultimate with Precision Black Local Dimming, Wide Color Enhancer Plus and Ultra Clear Panel. The sound is also on a very good level. It is provided by 10W stereo speakers with sub-woofer. DTS Premium Sound 5.1, 3D Sound, Dolby Digital Plus and Dolby Pulse are all available in the Samsung UN55F8000BF. As you probably know Samsung is using active 3D technology in almost all of their 3D TVs. Samsung UN55F8000BF is not an exception and it comes with four pairs of active 3D glasses (model SSG-5100GB) included in the package. 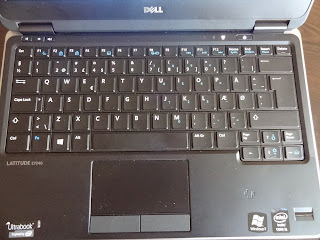 As for the connection options in the UN55F8000BF they are also on a very good level. Samsung UN55F8000BF is equipped with built-in WiFi for easy access (through Wi-Fi Direct) to the Internet and other WiFi enabled devices. Here we also have Bluetooth, 3x USB 2.0 ports, 4x HDMI ports, Component, Composite In (AV), RF In, DVI audio in, Digital audio out, IR out, RS232, Ethernet and Audio out mini. The UN55F8000BF also equipped with built-in pop-up camera which is an interesting design feature which also becomes very useful when using some Smart TV features. Voice Interaction Content, Sharing and Screen Mirroring, AllShare, Smart View and Smart Evolution are some of the other interactive functions supported by the Samsung UN55F8000BF. Of course with all these good features and specifications we can't expect the Samsung UN55F8000BF to be cheap and it isn't. You can find this TV for around $2000 which seems like a good deal considering you get the best in class picture quality from one of the top TV manufacturers. I would also recommend you to take a look at few other big screen TVs like the Samsung UE55F6400 which is slightly cheaper.